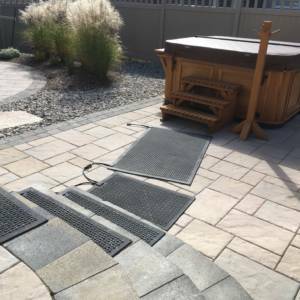 HOT-blocks Archives | KEMF Inc. 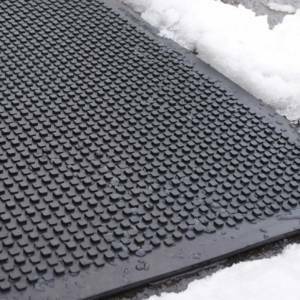 The HB 60-90 Doorway/Landing mat measures 24 inches x 36 inches and weighs 18 pounds. 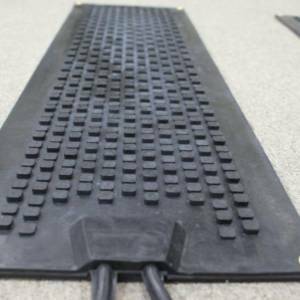 One can inter-connect up to 5 mats (120V) / 10 mats (240V) on 1 GFCI power unit of 15 amps. Don’t worry about slipping on snow or ice! 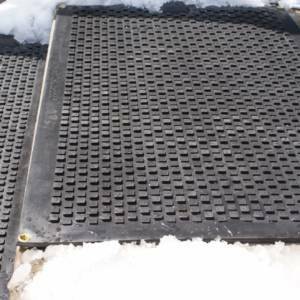 Eliminate the risk of accidents caused by slipping on accumulated ice or snow outside of your door or your landing. 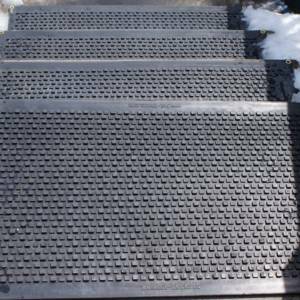 The HB 90-150 Walkway/Driveway mat measures 36 inches x 60 inches and weighs 50 pounds. 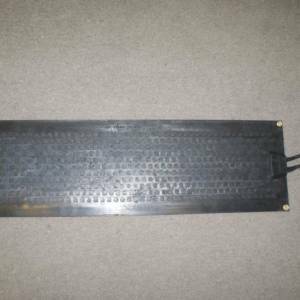 One can inter-connect up to 4 mats (120V) / 10 mats (240V) on 1 GFCI power unit of 15 amps.